The Art and Design Department are sharing two featured artists. 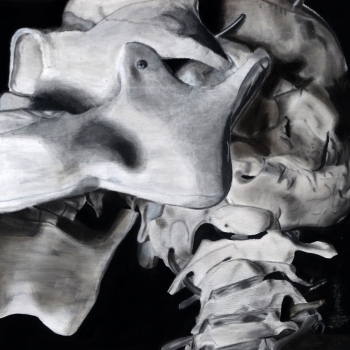 "I am a junior, and I have taken art every year except 8th grade. I never really was confident in my artwork until freshman year. I enjoy printmaking and charcoal. Art means a lot to me. It serves as an escape. When I am stressed or overwhelmed in life, I do art because it calms me down. It's an outlet for my anxiety. Art can be used to expose many deeper aspects of the world that many people don't like to talk about. It's a method of voicing your innermost thoughts and feelings if physical words don't seem to be feasible. In addition to the deeper side of art, it can also just be a fun way to pass time with friends and family. Nobody has to be a professional and create picture-perfect art in order to enjoy it. Through the large variety of media, anyone can find their passion in art. Children, teenagers, and adults alike can enjoy creating various compositions". 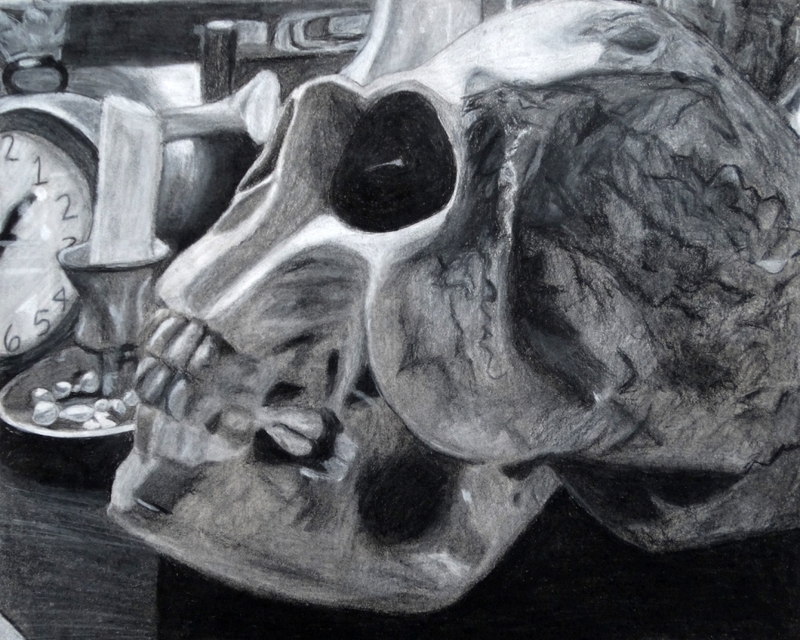 Alexis has had work selected for the OHLSD District Office Art Exhibition in her 7th and 9th grade years. She also had a piece selected for exhibition at the annual "SOS Art Exhibition" at the Art Academy of Cincinnati in 2017. Her MC Escher tessellation project from freshman year was published in a book, "Celebrating Art". "I've always really enjoyed art because it's a step away from reality, and you can genuinely create anything you want. Every artist has something they do in their work that makes it unique to them, and I think that's really amazing". 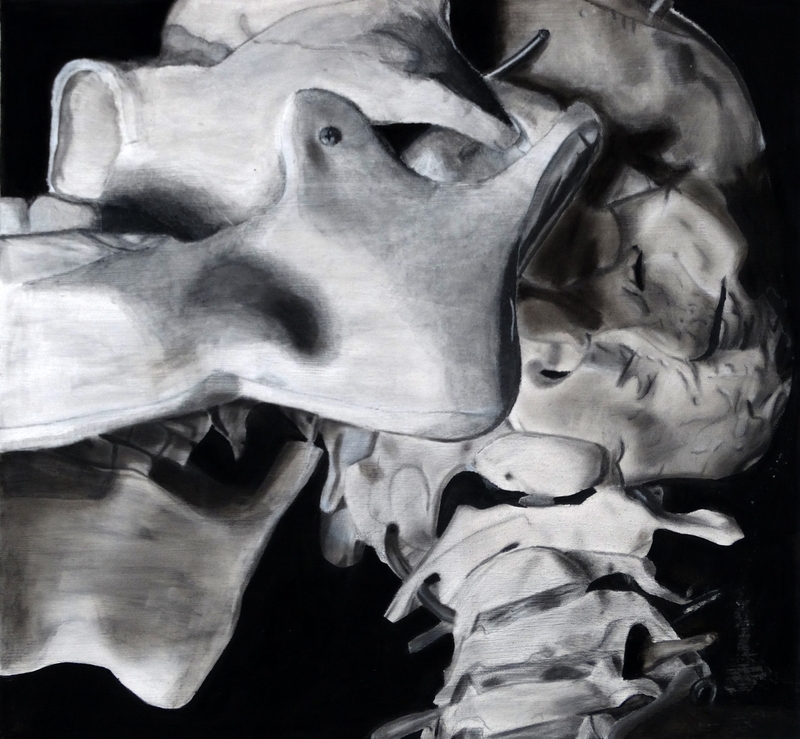 Becca is currently gearing up for submitting artwork for this year's Scholastics Art Awards competition and recently submitted work for the Celebrating Art competition.